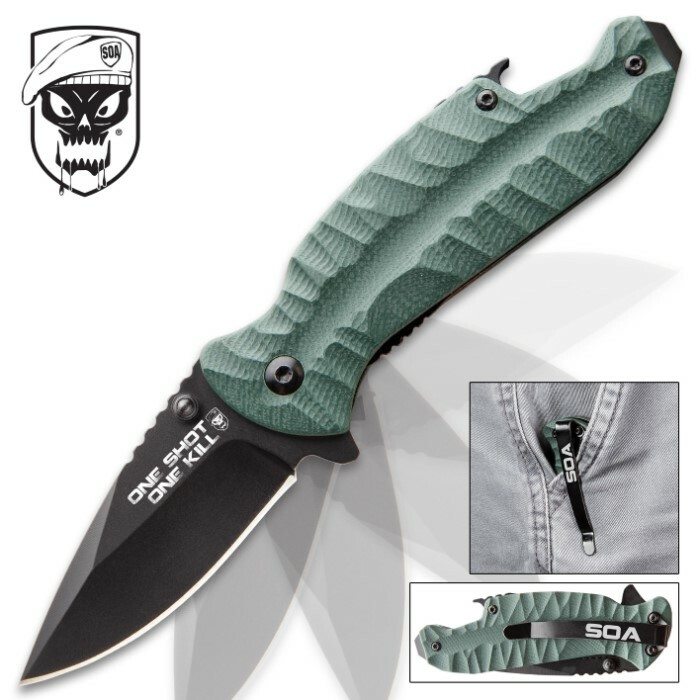 SHTF SOA Assisted Opening Pocket Knife With Bottle Opener And Screwdriver - Stainless Steel Blade, TPU Handle, Pocket Clip | BUDK.com - Knives & Swords At The Lowest Prices! The SHTF SOA Assisted Opening Pocket Knife takes everyday carry to a new level with its bottle opener and flathead screwdriver features. 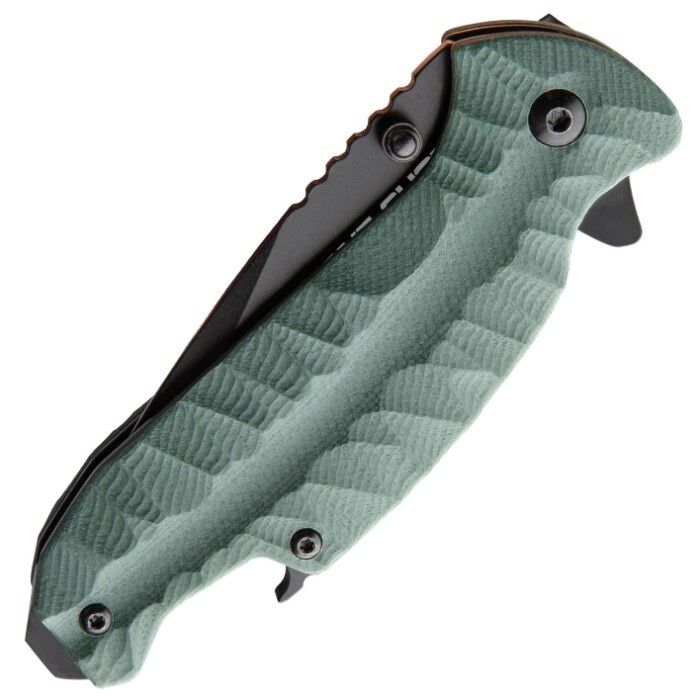 The 2 1/2” black-coated, 420 stainless steel blade has “One Shot, One Kill” laser etched on it and features thumb jimping. The blade can be quickly accessed using the flipper to activate the assisted opening mechanism. 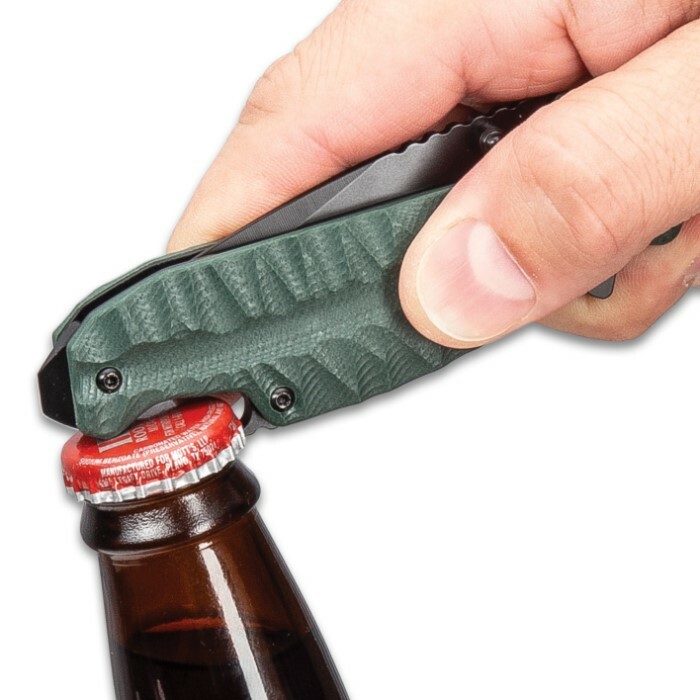 The grippy, olive drab TPU deep-grooved handle has the built-in bottle opener and flathead screwdriver on its end. 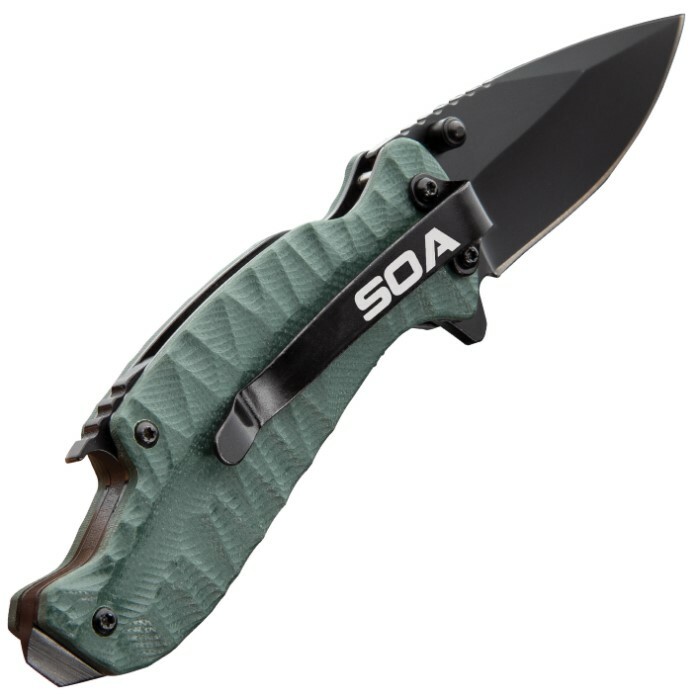 The everyday carry also features a black stainless steel pocket clip with “SOA” laser etched on it. Recently got this, and it's one of my favorites. It is on the smaller side, but it fits snugly in my hand and the blade is sharp.